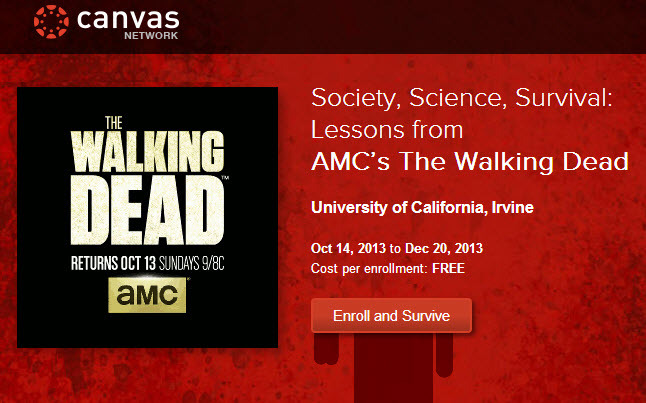 UC Irvine is offering a Walking Dead course, yeah don’t blink, you heard that right. Starting on October 14th, Society, Science, Survival: Lessons from AMC’s The Walking Dead, will begin. The online course is open to the public and will cover 8 weeks that will discuss the show and various aspects that surround the series. 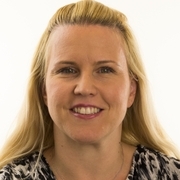 Melissa Loble had the following to say about the course. The course will include a look at a number of topics, including managing stress in disaster situations, social order and public health and infectious disease. “In The Walking Dead, there is a tragic absence of any semblance of public health agencies, expertise, or communications for the surviving members of society,” reads the course catalog. The course may seem to be a joke, however Loble stresses that it is actually serious. She explains that the nature of the course will draw attention, but in the end, it’s a real course. The course materials will consist of seasons 1-3 of The Walking Dead, with an active discussion about season 4. Season 4 of the AMC television begins on October 13th, so the course begins one day after the new season, enrollment is free, so sign up below!